Are you looking for a completely different way to motivate your team members? Take a tip from the Texas Medical Association, Lady Bird Johnson National Wildflower Center, Environmental Protection Agency, Firearm Safety Coalition, and numerous Fortune 500 companies. For twelve years (1986-1997), Kent Cummins made his living primarily as an entertainer: a professional magician, juggler, puppeteer, auctioneer, comedian, and Master of Ceremonies. But the entertainment was usually a vehicle for selling a program, product, or public service message. For example, the Texas Medical Association hired Kent to entertain at their 1998 Foundation Banquet with an hour-long illusion show. Because of the appeal of magic, the banquet had far greater attendance than anticipated. But each illusion in the dynamic, fast-paced magic show also illustrated a vital message about medical ethics, organ donation, and the value of doctors’ contributions to the TMA Foundation. IBM hired Kent as a consultant for their 1987 United Way Campaign, “Discover the Magic of Giving.” Kent helped develop and implement the theme, including the creation of customized magic tricks, books, souvenirs, videos, and exciting performances. The result? For the first time, The Austin IBM campus gave more than a million dollars to the United Way! The Environmental Protection Agency awarded the Texas Natural Resource Conservation Commission a grant to develop innovative ways to teach environmental issues. The result, produced by Kent Cummins and Magic Hotline, was the Environmental Magic Kit, including a book, two videos, and “6 Tricks for Helping the Environment.” The kit’s enormous popularity has spread to other states, and received special recognition by the EPA as one of the best environmental programs in the country. 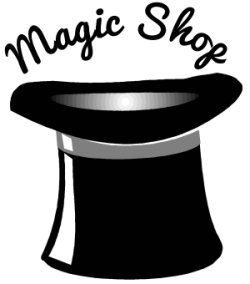 Kent has developed magic with a message for countless trade shows, banquets, sales training meetings and many other events. He has toured the United States and New Zealand, lecturing to entrepreneurial entertainers on the subject. He can create magic for your program, too!